There are very few tribes on earth that have still not had contact with global civilization to some extent. What are referred to as uncontacted peoples or lost tribes are indigenous groups that have had little interaction with the “outside world” due to choice or circumstance. As a result, their presence can only be confirmed through aerial footage or the information provided by other tribes. Subsequently, it has become a source of curiosity as in many cases, attempts to make contact have led to exceedingly violent encounters. As a result, efforts to do so are not repeated, allowing tribes to remain in relative obscurity. In some instances, bands have effectively been “found”, yet are then lost again. One such example are the Ruc tribe of North Vietnam which was comprised of over 400 people. It has not been seen again since initial contact. The Vietnamese government has been attempting to locate them since 2006 but has been unsuccessful. Other governments have become involved in the situation yet choose not to interfere. They simply opt to protect the right of privacy and self-determination of their respective indigenous societies. In 2005, the Bolivian government went as far as signing the Declaration of Belem in an effort to protect them. Therefore, the only thing that we do know is where they are and how they live. The answer to the “where” is generally South America, New Guinea and some parts of Central Africa. The question regarding how they live is obviously difficult to ascertain. However, anthropologists have surmised that many have a language or dialect distinct from the ones spoken by neighboring bands, and its members are generally hunter-gatherers. 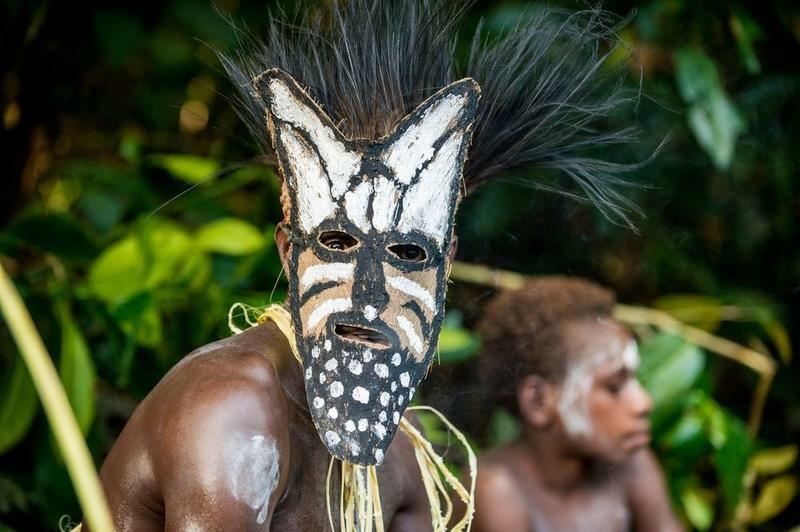 One of the most fascinating reports regarding uncontacted peoples relates to the Sentinelese of Sentinel Island, located in the Bay of Bengal. The island itself is the size of Manhattan; it has a population of between 50-400 inhabitants who have lived there for 60 000 years. While there was apparently one peaceful encounter with the Sentinelese in 1991, later efforts have been violently rebuffed. Fishermen who have had the misfortune of being found near the island’s shores have been killed and helicopters have been greeted by stones being hurled at them. The Indian government’s response has simply been to respect their desire to be left alone by adopting an “eyes-on-hands-off” policy. Curiosity aside, with immune systems that could not protect them from the vast majority of Western diseases, it is better that such societies remain isolated. Hence, in this case history should absolutely not be allowed to repeat itself.